Jan T. Vilcek, M.D., Ph.D.
Dr. Jan T. Vilcek, research professor at New York University School of Medicine, was born in Bratislava, Czechoslovakia (now Slovakia), where he also received his M.D. and Ph.D. degrees. In 1964 he and his wife, Marica Vilcek, an art historian, defected from what was then communist Czechoslovakia. Upon immigrating to the United States in 1965, Dr. Vilcek joined the faculty of NYU School of Medicine. Dr. Vilcek has devoted his scientific career to the study of cytokines—hormone-like proteins produced in the body that control the immune system and host defenses. He was among the first scientists to investigate interferon, an important immune system protein. Subsequently, Dr. Vilcek focused his studies on another cytokine, called tumor necrosis factor (TNF). Dr. Vilcek’s contributions to the understanding of proteins that control the body’s defenses were instrumental in the development of the anti-inflammatory drug Remicade®, the first member of a new class of therapeutics called TNF blockers that are now widely used for the treatment of Crohn’s disease, ulcerative colitis, rheumatoid arthritis, ankylosing spondylitis, psoriasis, and other chronic inflammatory disorders. Dr. Vilcek has published more than 350 papers in scholarly journals, and he holds 46 U.S. patents. His honors include the Albert Gallatin Medal from NYU, and honorary degrees from Comenius University in Bratislava, the CUNY Graduate Center in New York City, and NYU. He received the J. E. Purkyně Honorary Medal from the Czech Academy of Sciences, and the Outstanding American by Choice Award from the U.S. Citizenship and Immigration Services. In 2013, President Barack Obama named Dr. Vilcek a recipient of the National Medal of Technology and Innovation. In 2000 Dr. Vilcek and his wife established the Vilcek Foundation, whose mission is to raise awareness of immigrant contributions in the United States and foster appreciation of the arts and sciences. Dr. Vilcek’s memoir Love and Science was published by Seven Stories Press in 2016. In it, Dr. Vilcek tells the story of his two intertwined journeys—one personal, the other scientific. The personal story is about his and his parents’ survival during the Second World War, growing up in Communist Czechoslovakia, and arriving as a penniless immigrant in the U.S. The scientific story recounts how the vaunted cures for cancer that many saw in interferon and TNF never materialized, and how out of the ashes of that hope emerged treatments that revolutionized medicine and alleviated much suffering. 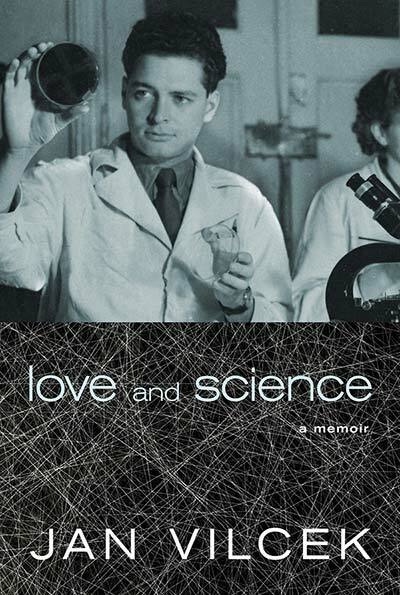 Pick up a copy of Love and Science, a memoir by Jan Vilcek, to read more about his journey and accomplishments.